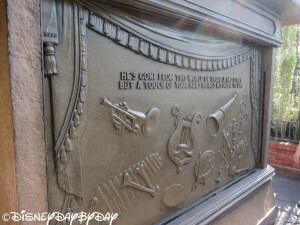 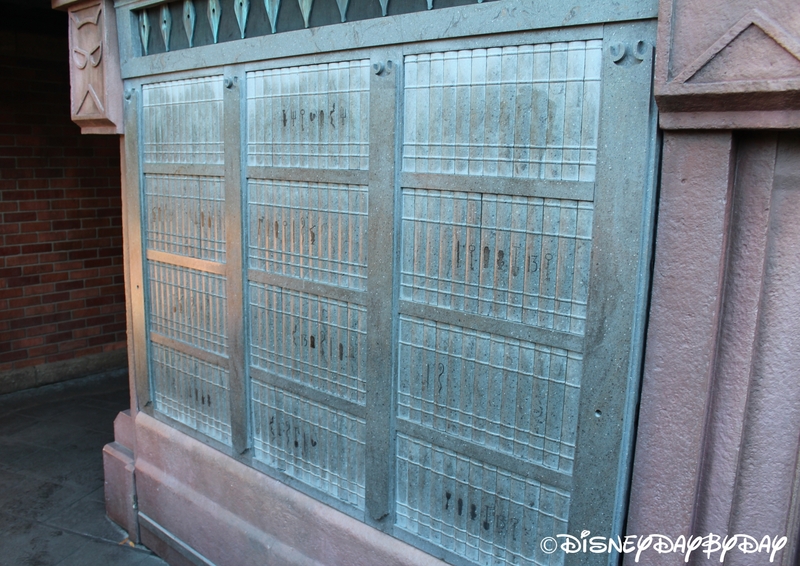 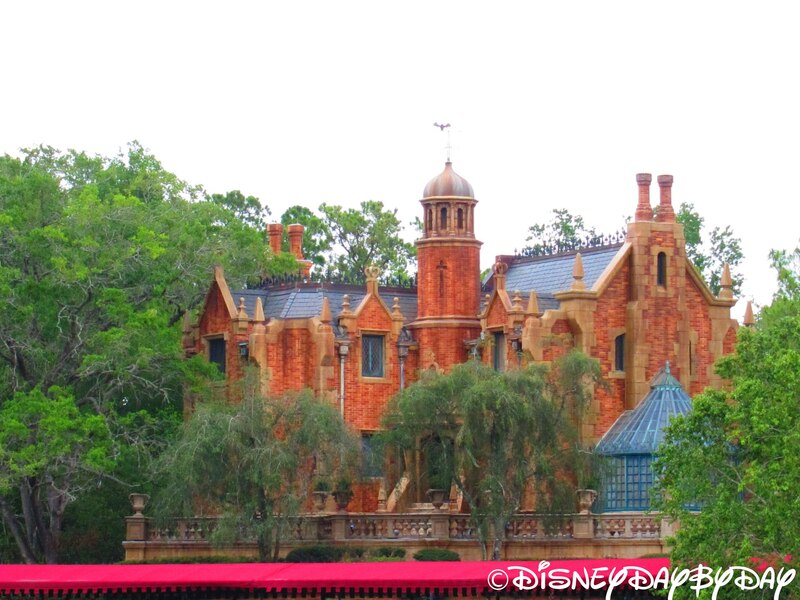 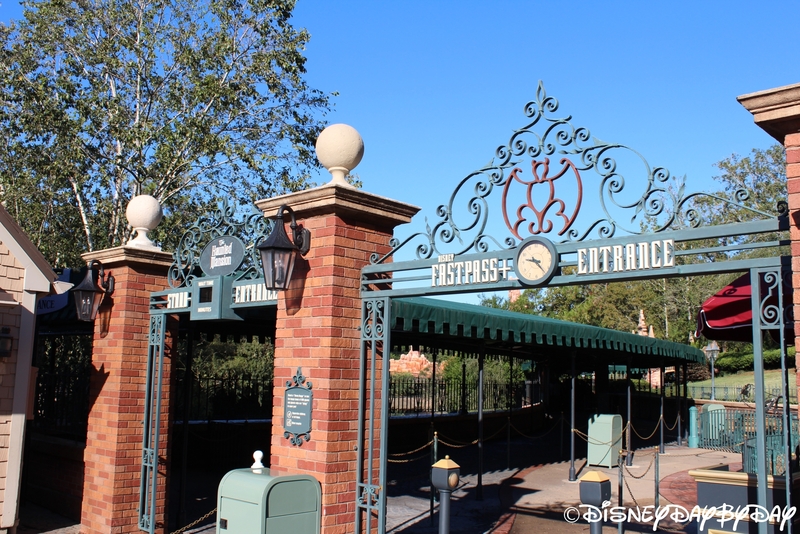 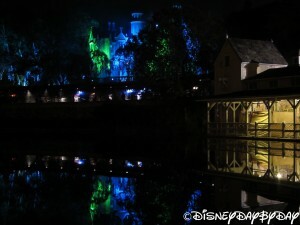 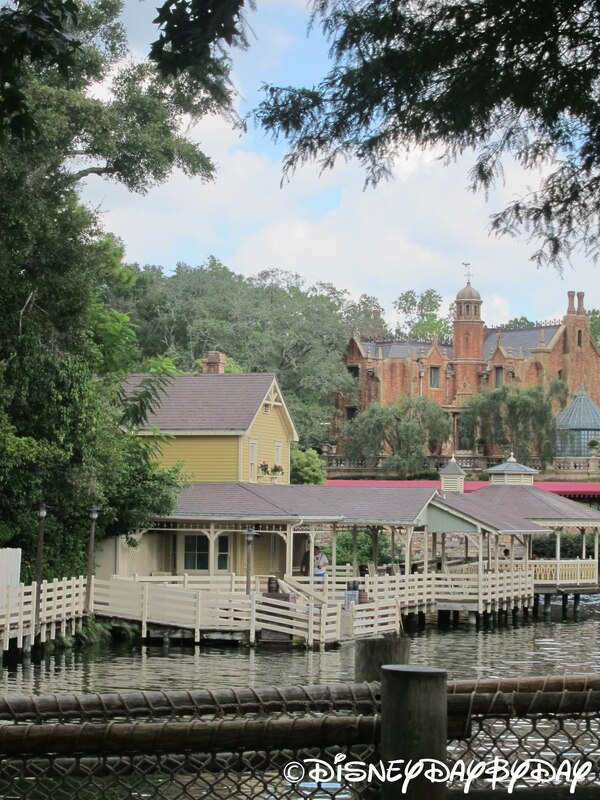 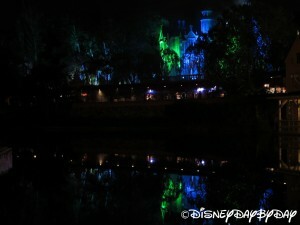 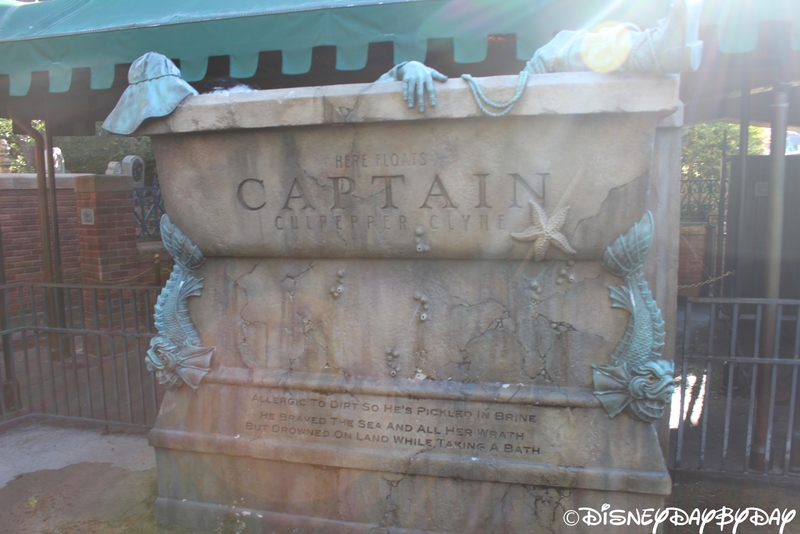 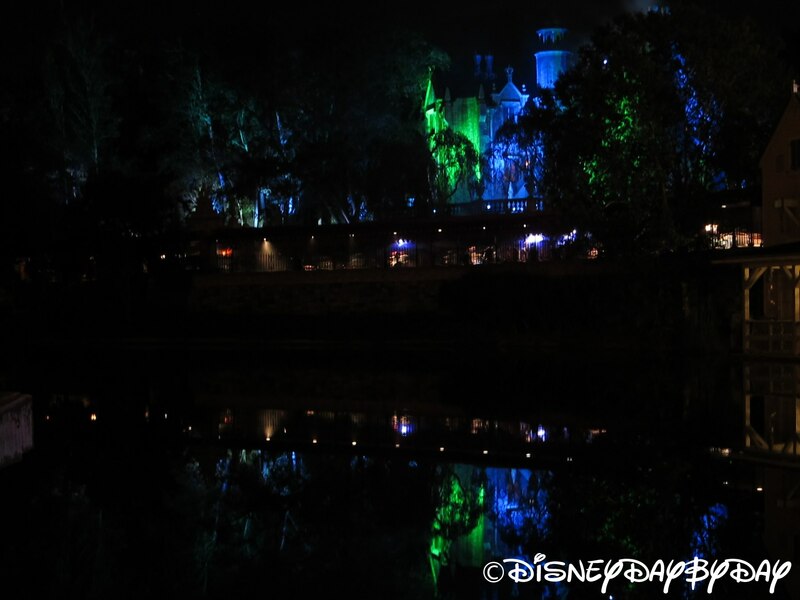 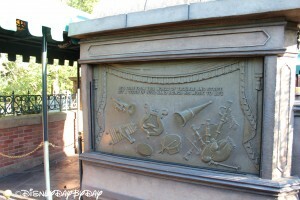 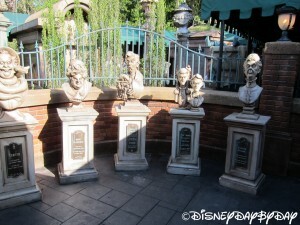 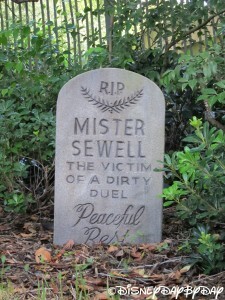 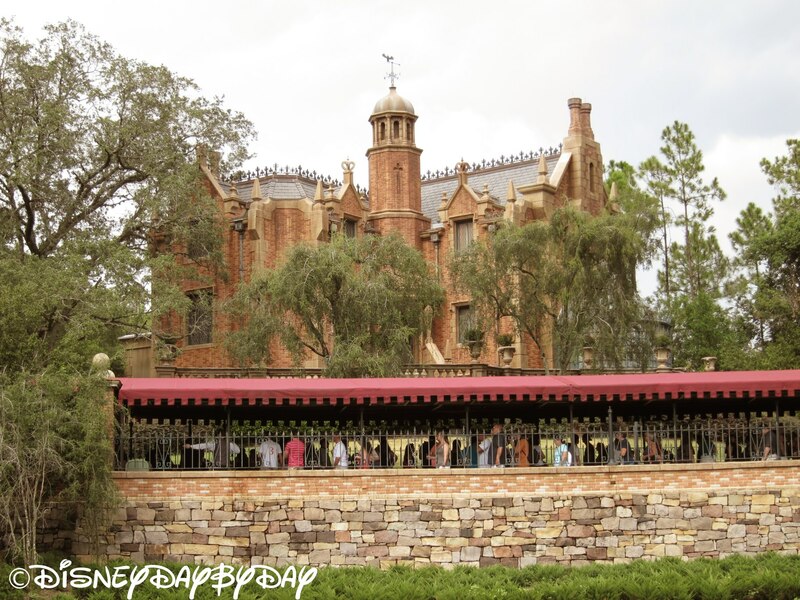 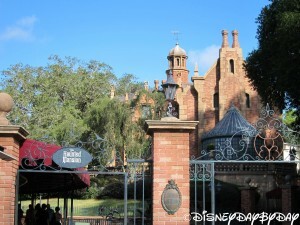 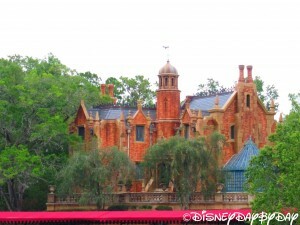 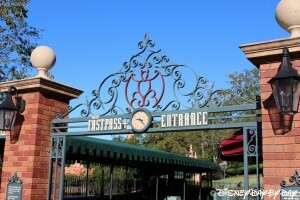 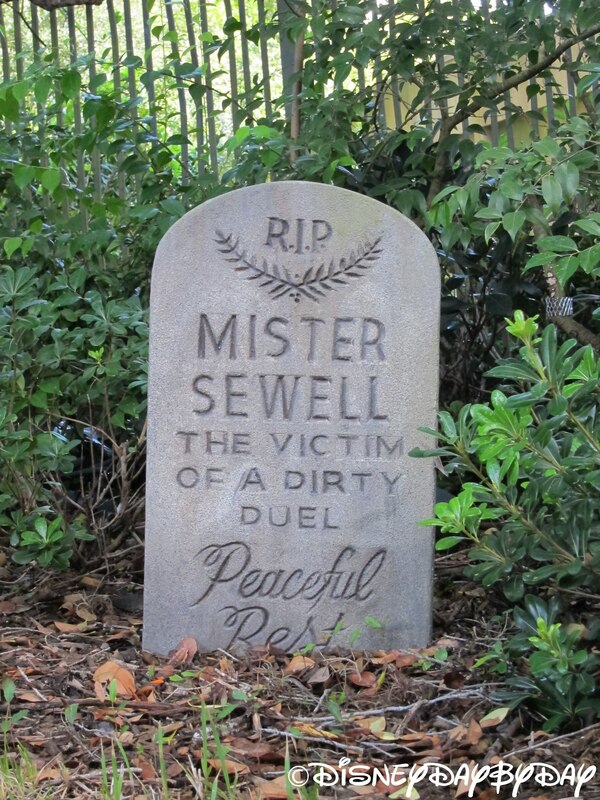 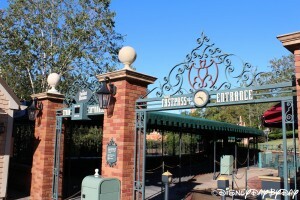 Home to 999 Happy Haunts, the Haunted Mansion, has room for one more……Any volunteers???? This mansion is a Disney Classic dark ride. 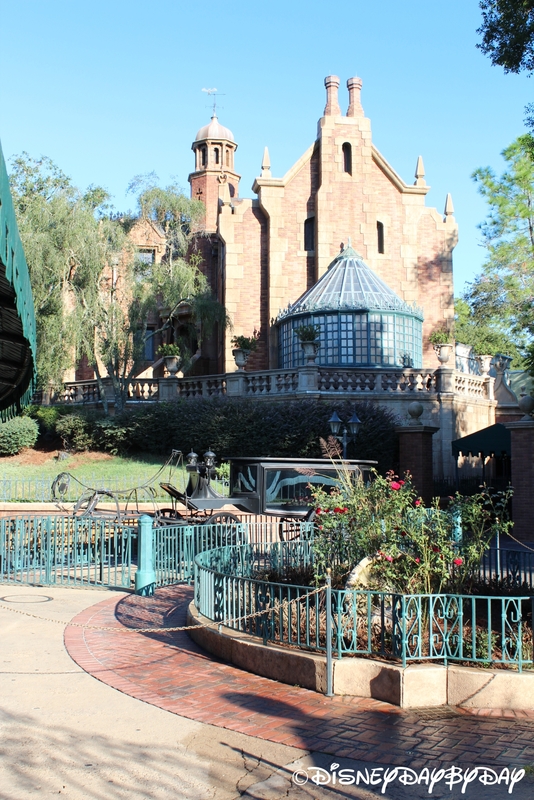 You are welcomed into the mansion through the stretching chamber where there are no windows and no doors which offers you this chilling challenge – to find a way out. 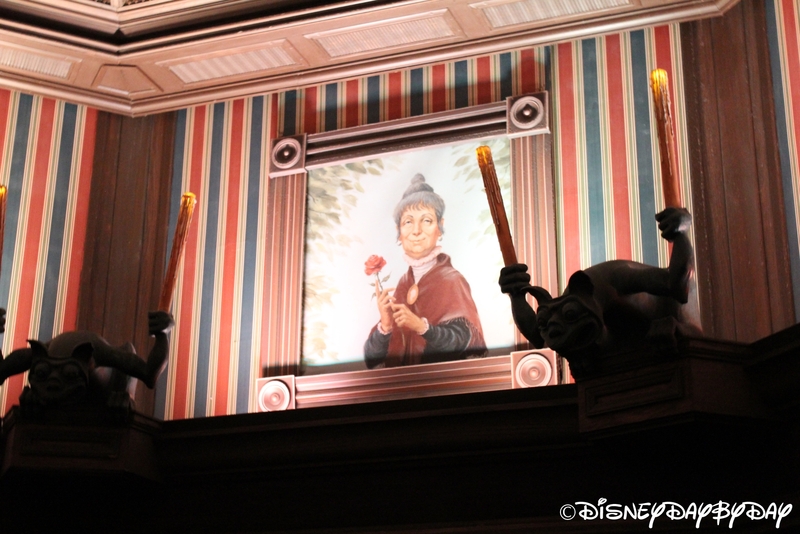 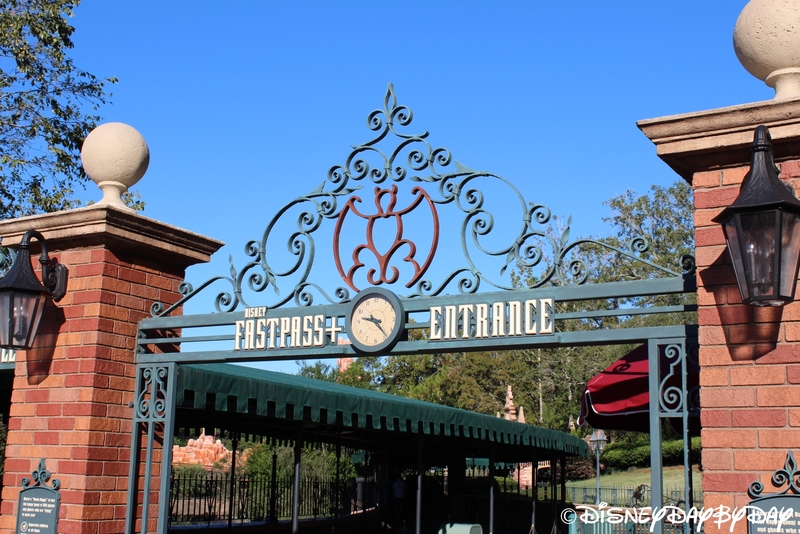 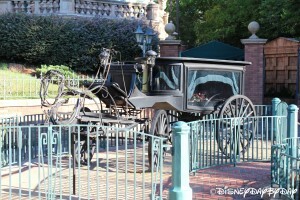 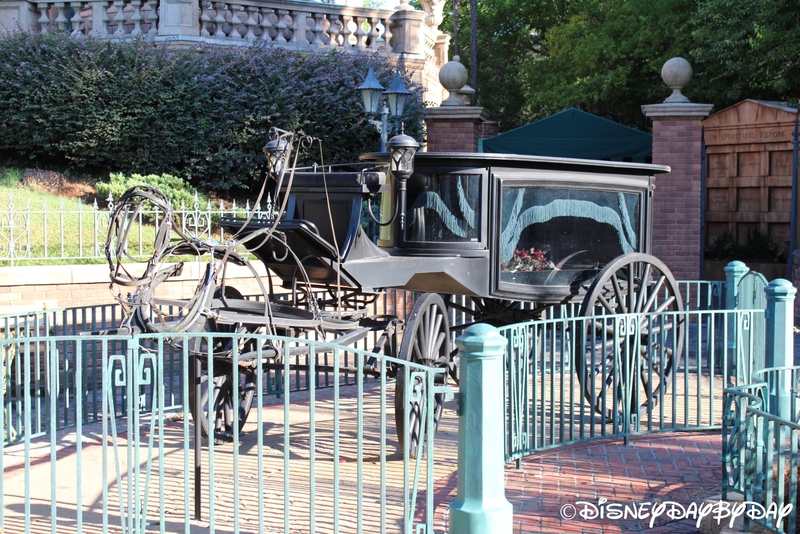 After making your way out of the stretching room you will board your doom buggy to explore the rest of the mansion. 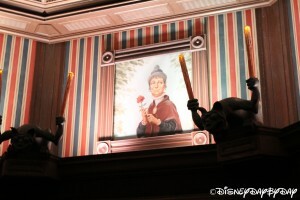 “Don’t pull down on the safety bar, I will do it for you.” The mansion tour begins in the Library, Music Room, Conservatory, Corridor of Doors, and the Endless Hallway. In these rooms you will see many ghostly haunts including floating objects, a hand pushing open a coffin lid, and doors that are knocking on their own or bulging out as the ghosts try to escape. You continue your tour through the Grand Hall where the party still lives on. 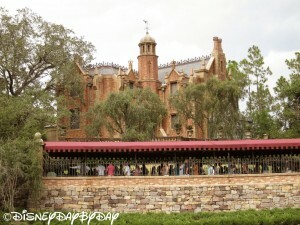 The huge banquet table is celebrating a birthday party as guests waltz. 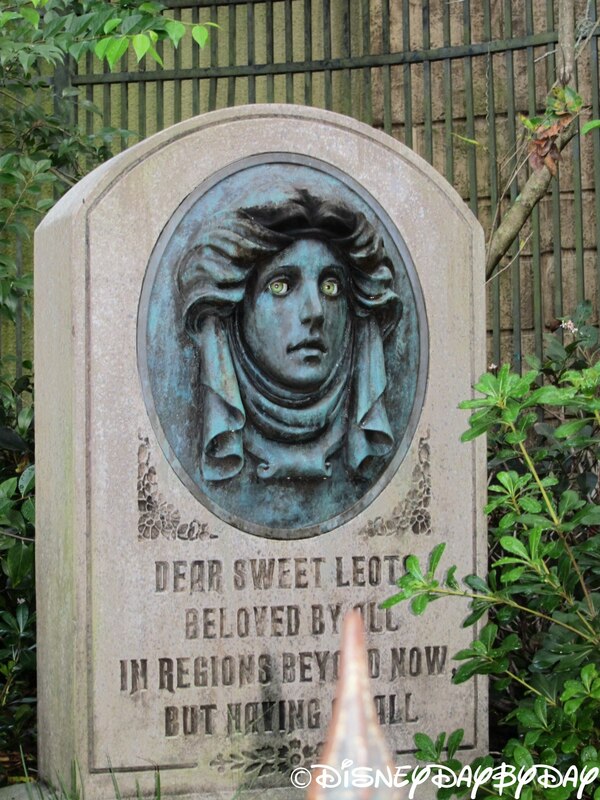 As you enter the attic you meet a bride who takes the words for death do us part to another meaning. 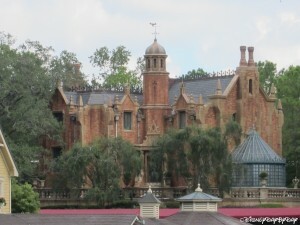 As you leave the attic your doom buggy falls from the attic window and tilts backward as ghosts begin to pop up out of nowhere and Grim Grinning Ghosts song takes over the air. 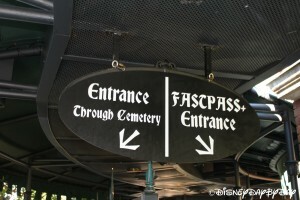 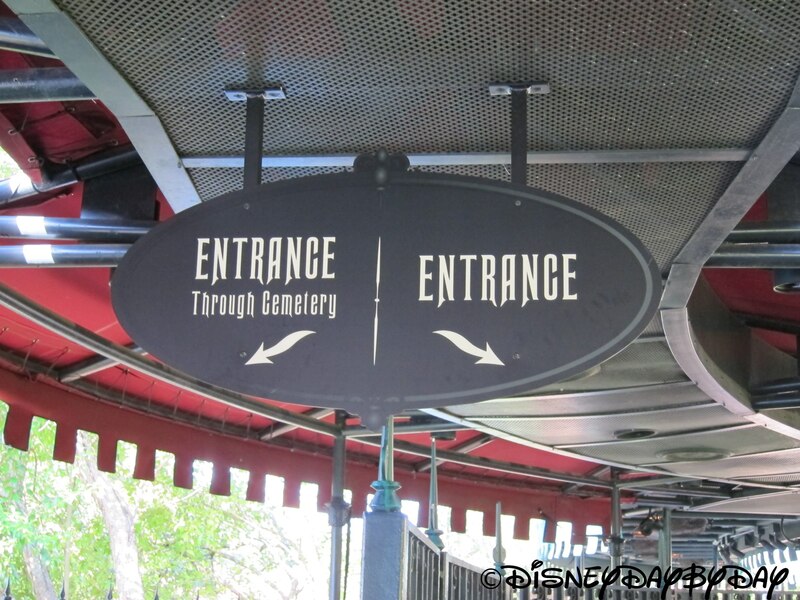 As you leave the graveyard watch out for the hitchhiking ghosts that will have your head spinning, swapping, or disappearing. 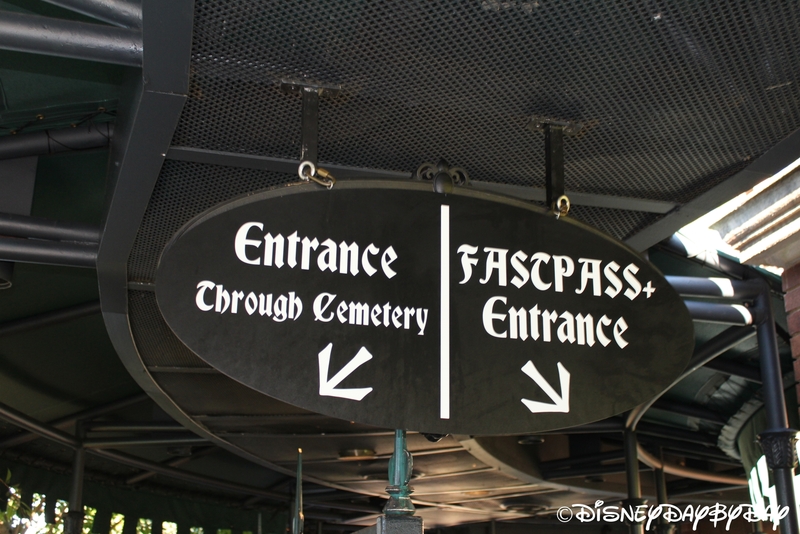 Though haunted, the ride is more silly than scary, with darkness being the scariest part. Even though there are only a couple brief moments of total darkness, kids that are afraid of the dark might want to skip this one. 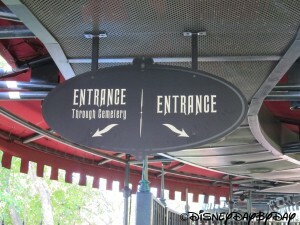 From the pre-show to the ride through this attraction will have you asking to be the volunteer.